One the first day of school I had my 18 first graders gathered around me at the carpet. I said, “You know how sometimes in a classroom each person has their own desk… and that’s the only place they get to work.” All the kids were nodding and saying, “Yeah, yeah.” I told them, “This year in our classroom, ALL the desks, seats, and places to work belong to ALL of us!” They thought that sounded like the best thing ever. Throughout the first 4 days, the students took turns sitting at each area in order to get them used to my expectations for each type of seating. To get ready for my first year of flexible seating, I lowered 4 desks by taking the legs off so that students would be able to sit or kneel to use these. I raised 4 desks so that students would be able to stand at them. As a side note, I have always had kids who preferred standing, and I never thought to get rid of their chair! I would just keep tripping over it! I decided to keep 4 “normal” desks with regular chairs. Not every kid is going to want to sit in a different way and that is okay too! 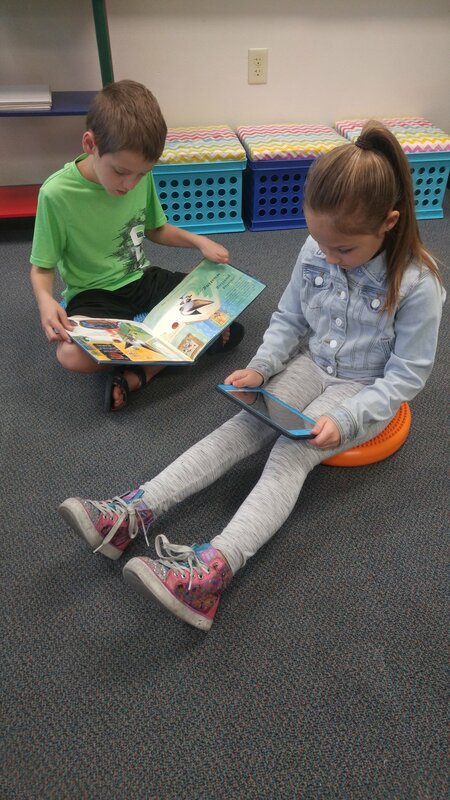 I already had 6 scoop rockers that I had used previous years for kids to read to themselves in and now I am allowing students to do any assignments in the scoop rockers (if they need a hard surface, they can grab a clipboard). I also have 3 crate seats that I made last year for kids to use when working on an iPad, and now the kids are allowed to use these as an option as well. In addition to my other flexible seating options, we now have Flex-Space Comfy Floor Seats. They are AMAZING! We got a blue one and a green one for our first grade classroom. The colors just pop and brighten up the space. The seats are so comfortable and thick. You can pull the back up to different levels depending on how far back you want to lean while you work. The seat can be easily laid flat to put out of the way if you need to. 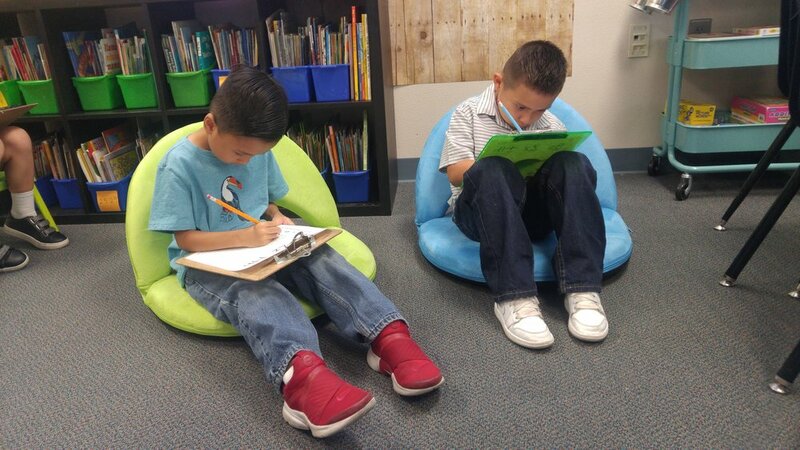 My students have loved every opportunity to work using the Flex-Space Comfy Floor Seats. They are great for working using a clipboard, reading a book, or using an iPad. They are light-weight so the students can move them anywhere in the room that they would like to work. I love this option for flexible seating! We are also trying out Flex-Space Wobble Cushions. They are a fantastic option for students who just need to move a little bit while they work, or who want to work on the floor but be comfortable. They are easy to clean and ready to go right out of the box. My students mostly use them on the floor, but they can also put them on a chair. Getting their wiggles out while they work really helps them to focus! I would buy enough for every student to use one! So far my students absolutely love the flexible seating! It is interesting to see who gravitates to which seats. 1 or 2 prefer the regular desks, but the other 16 love the options and depending on the task, they choose different spaces. There have been no arguments about who gets to sit in which seat. I’m so pleased with how it’s working! Want to learn more about flexible seating options from Lakeshore Learning? Listen to our podcast interview with Patti Clark! 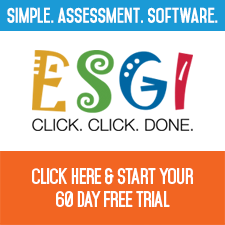 Newer PostWhy Traditional Homework Doesn't Work... and How to Fix it. Older PostPlay in Kindergarten? YES!